Want to gain an insight into how some people run their Equissage business? Let’s hear from one of our clients, Bellarine Equissage Therapy who operate their Equissage business in Victoria…. 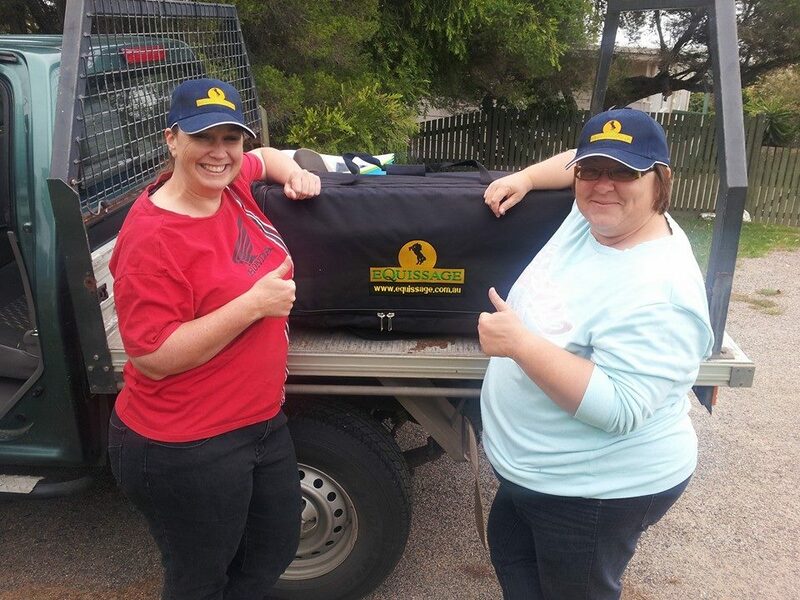 Bellarine Equissage Therapy was born of a friendship built by Marlene and Jill, two women who came together by chance, with similar stories of returning to horses after time away from them. An agistment home together firmed up the budding friendship, bound by common passion to provide the best care they could, with strong focus on Natural – natural therapies, horsemanship, training and feeding. Together they’ve explored the finer points of maintaining older horses with natural supplements, health care and feeding routines alongside sharing and learning from each other in training and riding their equine partners. Many hours of discussions over many coffees (and ciders in the paddock or stable) led Marlene and Jill along the path to looking for something they could do in the local equine community. The idea of using a form of treatment like Equissage came up, and Bellarine Equine Therapy was born with a huge amount of support and assistance from Emma at Equissage SA. Their goals are simple – Locals supporting Locals – they want to take Equissage out there for the benefit of the local equine community, aiding local riders to improve the health and condition of their horses and themselves, and thereby use it to enable them to give a little back to local welfares, riding clubs and community groups. It’s all about giving a little bit back, whilst getting involved in something they’re passionate about – horses. One current project is a case study on a new RDA Geelong equine team member, Jay Jay. He’s a lovely little QH who’s had an illustrious career in the Western Reining world, and after being turned out for quite a while has exhibited signs of pain and muscle soreness whilst being brought back into work in his new job. He’s begun his new job with incredible patience and kindness which is a massive credit to his gentle character, and with some regular Equissage and some stretching and suppleness exercises, he’s coming along in leaps and bounds. The difference is clear and is being noticed. He’s a fantastic little horse doing a great job for the kids – and we’re here to help him along in his new role. They’re starting small, but so far have been incredibly excited and motivated by the amount of positive response and support they’ve been shown and have grand hopes for building this little enterprise into something bigger. Jill and Marlene love the difference the Equissage makes – at the core it’s an aid to natural healing and utilising natural methods has been their personal focus all along.